We treat our clients like family. Our goal is to build a lifelong relationship with every client and as a result, our valued clients refer their family, friends, and co-workers to us. We are serving PA & NY. See our video. 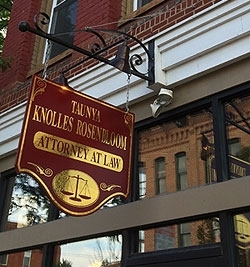 For legal advice and counsel you can trust and rely on, contact the Knolles Rosenbloom Law Group, PLLC today! Please keep in mind this site is for general information only. The information on this site should not be seen as legal advice nor the formation of a lawyer/client relationship.